Monsieur le Docteur showed the Cowboy that anyone is an artist who takes pride in his work and views it as an opportunity to bring elegance and beauty to the world. He always sought to help others with his art, providing his services to many who could not afford to see him, or anything else for that matter. Monsieur le Docteur taught the Cowboy to think: “Diagnosis is critical!” Use the mind, close observation, experience AND a fresh perspective to solve problems. Do not be seduced by the familiar, by inattention to detail, or by intellectual laziness. And finally, it was Monsier le Docteur who facilitated the Cowboy’s time in Switzerland through close friends from his years as a Swiss basketball coach. For it was his belief that relationships are to be treasured for a lifetime. 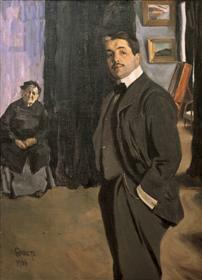 Monsier le Docteur is an expert on Sergei Diaghilev, a valued friend, and a reader of this blog. Merçi et salut!